They will be broadcast by Fox, live, from Hollywood, this Sunday night. Host Andy Samberg is likely to be funny. A digital short is not out of the question. Why do the Emmys, of late the most stable of major award shows, feel so uncertain in 2015? For one, there has been a major change to the voting rules. No longer are premium categories voted on only by a select group of industry peers. Beginning this year, the entire membership of the Television Academy is free to vote in every category, expertise or even familiarity be damned. (Every member should have watched the nominated episodes — or the episodes submitted by actors that got them nominated — but it’s all based on the honor system.) This may sound anarchic, but it’s not much different from what the Oscars have done for years. The potential upside of this change is considerable, as it allows a host of fresh faces an opportunity to make their voices heard on the industry’s biggest night. To my mind, anything that expands the demographics of a historically rigid and conservative voting bloc is a net plus. Still, the potential downside of such expansion is already evident. As Alan Sepinwall pointed out in his own Emmy preview, the magnificent character actress Margo Martindale won a trophy this past weekend at the Creative Arts Emmys (basically a catch-all ceremony for all the awards squeezed out of the main show) for her work on my favorite television show, The Americans. This ought to be a happy story except for one thing: It’s entirely preposterous. Martindale’s “guest performance” was all of a single scene, and not a particularly memorable one at that. (If you’re giving guest performance Emmys to The Americans, why not start with Lois Smith?) Martindale likely won due to her overall excellence and name recognition, not for the work for which she was nominated. This is the risk you run by opening up the ballots to underinformed voters, and it will be interesting to see their effect on the main stage come Sunday night. The other reason the Emmys feel so unpredictable this year? TV itself is unpredictable. Gone are the days of glittering consensus, when insiders and hoi polloi alike could agree on obvious, deserving winners like Breaking Bad and Modern Family. As we’ve shifted from a golden era, marked by swaggering, commercial colossi into a more fragmented moment — instead of four or five brilliant shows we now have 400 quite good ones — the Emmy voters will likely struggle with accurately reflecting the zeitgeist. Will they look backward and reward Mad Men one last time? Or will they hold their noses and look forward, crowning Game of Thrones as the future of TV, even though it treats decades of television convention the way Ramsay Bolton treats his houseguests? We’ll know for sure in just 48 hours. Until then, here are the four major story lines to watch out for while you watch. 1. Hamm or Some Other Turkey? Jon Hamm has played the character of Don Draper for eight years. During that stretch, he has been nominated for an Outstanding Lead Actor in a Drama Series Emmy eight times. Surely he can’t bagel it, right? Well, yes he could. But before we get into it, let’s pull out our broken record — excuse me, broken carousel — and shout this one more time to the cheap seats: Don Draper is one of the great television characters of all time and Hamm’s performance is equally historic. The entire show rests, like a bespoke suit, on his broad shoulders. 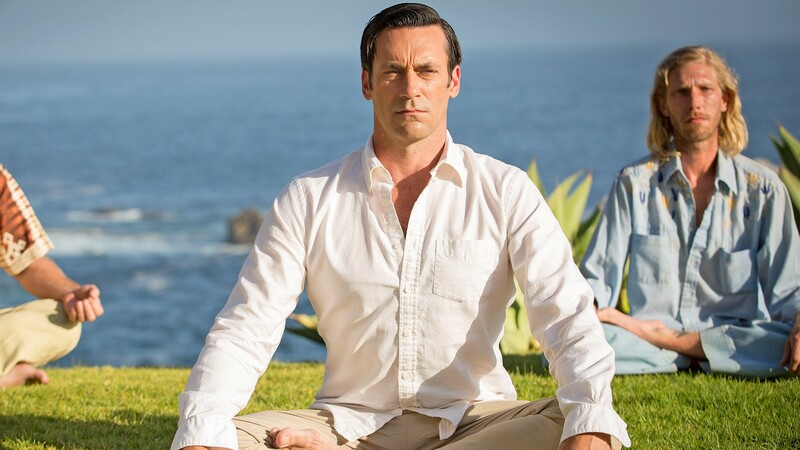 Yes, Matthew Weiner’s writing made the show, but it was Hamm who sold it, both the cool surface smoke and the desperate emotional fire beneath. For as much as awards are meaningless popularity contests, for Hamm to end this chapter of his professional life with an empty mantelpiece seems absurd. Now: Will he win? The only possible answer: Maybe? Before the rule change, I was convinced he would not, mainly because I couldn’t shake the feeling that many Academy members simply couldn’t see past Hamm’s astronaut good looks and appreciate the subtlety of his performance. Yet this is one case in which the opening of the voter floodgates might actually help justice be done. Even members who gave up on Mad Men back when Roger Sterling was caterwauling in blackface know Hamm’s name and his track record. And they also likely prefer a happy ending — one happier than dreaming up a soda ad in the lotus position. My brain tells me a safe (if nonsensical) choice like Jeff Daniels1 or Kevin Spacey might win out. But my whiskey-soaked gut is crying out for Hamm. 2. How Much Does Legacy Matter? When it comes to this year’s Emmys, just as it does with a properly prepared bánh mì, Hamm is only the beginning. There are a number of other performers facing the end of their eligibility in beloved roles, though I don’t feel comfortable predicting a win for any of them. 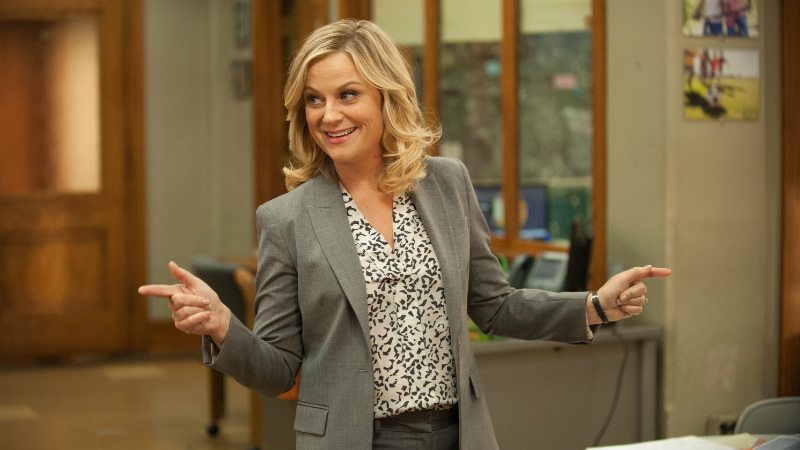 Amy Poehler, nominated for the sixth time as Leslie Knope, seems destined to join Steve Carell in the underappreciated comic genius hall of fame. (Don’t fret: It’s very nice in there because, while they may lack Emmys, all members manage to make do with millions of dollars and the respect and adoration of great swaths of the country.) Besides, betting on anyone other than Julia Louis-Dreyfus in the Outstanding Lead Actress in a Comedy Series category is like betting on a window during hurricane season. On the drama side, Elisabeth Moss and Christina Hendricks are also both nominated for the final time as Mad Men cast members. And while I wish they could both be recognized — and, now that we’re on the subject, how the hell is John Slattery not nominated simply for the way he said “vermouth”? — I don’t see it happening. Mad Men has never won an individual Emmy for performance and, unless Hamm gets fed, that is likely to remain an incredible pockmark on what has been an otherwise pristine legacy. For me, the more interesting thing to watch will be the treatment of Mad Men itself. After a few years in the wilderness, the show returned to the Academy’s good graces this year. Was this in response to a noticeable uptick in quality? In a word: no. Even in Mad Men’s lowest moments, its writing was never anything less than exemplary. Still, voters love a good conclusion, and while Mad Men’s wasn’t perfect by any stretch, it did return the show to a place in the cultural conversation that it hadn’t occupied in a few years. I expect at least a handful of writing Emmys. Will the show once again win Outstanding Drama, a trophy it hasn’t claimed since 2011? Future hazy. Ask again later (in this column). Oh, speaking of farewells: The Daily Show With Jon Stewart is close to a mortal lock to take the Outstanding Variety/Talk Series prize. Not because it was the best — even your angry uncle on Facebook agrees that Last Week Tonight With John Oliver won the year — but because it was so good, for so long. As I wrote back in July, when the nominations were announced, television comedies are, by and large, now more dramatic than the dramas themselves — not to mention generally better. Aside from listing heavyweight Modern Family, this category is spotless: Transparent, Louie, Parks and Recreation, Veep, Silicon Valley, and Unbreakable Kimmy Schmidt. Were any of those latter six to win, it would be a very good night indeed. Still, it’s instructive to view this category as a window into the industry’s changing tastes. Another win for Modern Family — which, by the way, remains an impressive and efficient series — could be seen as an endorsement of the business-as-usual groupthink that has produced this fall’s shrugging and syphilitic crop of lame new shows. Both Kimmy Schmidt and Parks and Recreation are utterly brilliant, but, in Tina Fey and Amy Poehler, both also feature familiar faces behind and in front of the camera. A vote for either isn’t exactly a vote for the status quo, but nor is it a vote for what a Star Trek sequel — and, yes, Bill Shakespeare — once called “the undiscovered country” of the future. But to see any of the remaining four win? Ah, that would be truly interesting! Veep, which I believe to be a slight favorite, and Silicon Valley are proof that highly specific comedic voices are best served on cable, where few notes are given and no cows are sacred. But Louie and Transparent are, in different ways, even more radical. Why? Because despite often being uproarious, neither feels much pressure to provide laughs. In this, they are part of a vanguard of “sadcoms” or half-hour dramedies that are responsible for rewriting audience expectations and providing the sort of emotional gut-punches that today’s dramas rarely achieve. 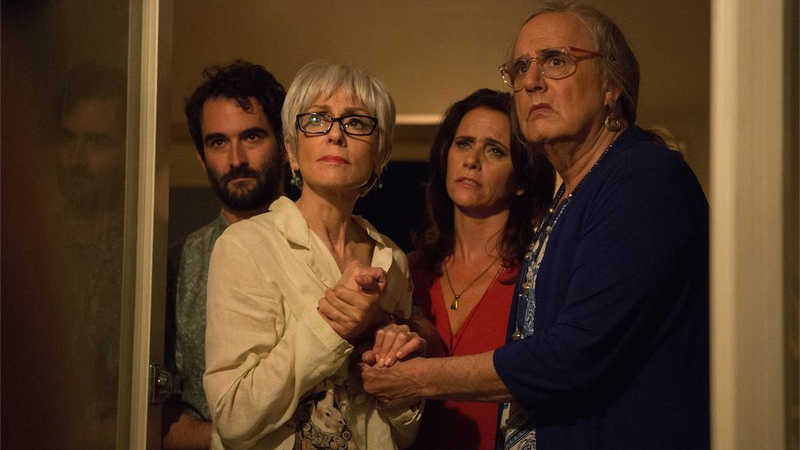 I’d like to see Transparent win for the best debut season of anything since Friday Night Lights. But mostly, I want to see change. That said, it would definitely be the funniest moment of the night were Modern Family to win for an outrageous sixth straight year. I feel confident in predicting a number of happy moments for Sunday night. For example, I’m reasonably certain that the great Jonathan Banks will win a long-overdue Emmy for his portrayal of Mike Ehrmantraut, this time as part of Better Call Saul. (Easy Emmy math: You break a boy, you get a prize.) I think Jeffrey Tambor deserves an award for his remarkable performance on Transparent and I think the majority of voters agree. 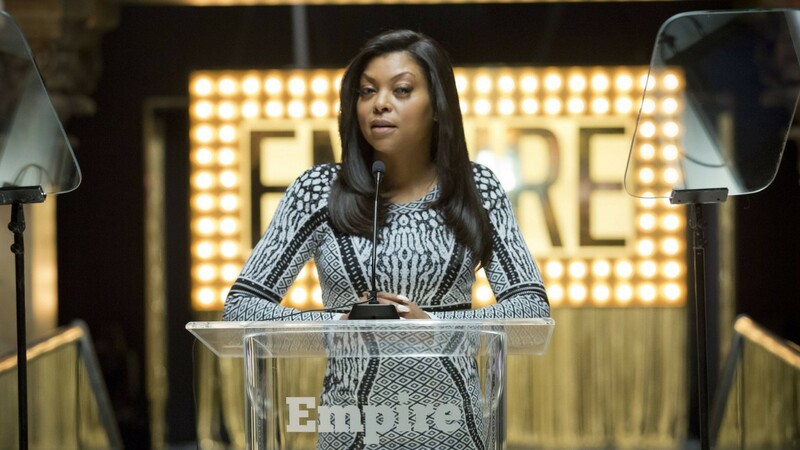 I may want Elisabeth Moss to win but Viola Davis or the tremendous Taraji P. Henson would make a fine victor. I believe either Inside Amy Schumer or Key and Peele will take home the inaugural Outstanding Variety Sketch Series Emmy and I have no truck with either. What I remain uncertain of is the winner of the night’s last award — Outstanding Drama Series — and what it might mean for the future of the industry. For all the talk of “too much TV” occurring these days, there really hasn’t been any mention of the fact that there still isn’t enough excellence and that the explosion of spending and opportunity might not be the best way to achieve it. Don’t get me wrong: There is more to savor, appreciate, and enjoy on television in 2015 than at any other time in history. The ongoing top-10 list I keep in my head is bulging with shows I deeply love. But I do miss the shared joy of the past five to 10 years, when there were fewer options but more consensus. Part of the fun of watching TV is watching it together. When Mad Men stubs out the cigarette of its eligibility late Sunday night, so, too, will one of the last shows that I would physically force a skeptic to experience. The Americans, You’re the Worst, Mr. Robot — I want millions of people to feel the same way I do about them. But do I expect it? No. Honestly, I don’t. So will Mad Men win on Sunday night as a last tribute to a once-shimmering era? I think the odds are good, mainly because the rest of the category is so baffling. Homeland is fine. Orange Is the New Black is better than that. Downton Abbey has its aficionados — though not even the strongest Darjeeling in Christendom is likely to keep those fans awake until 11 p.m. on the East Coast. Better Call Saul is terrific but it’s also new and raw and thus unlikely to pull an upset. House of Cards isn’t a good show though it plays one on TV. The real wild card here is Game of Thrones. The HBO drama is easily the most obsessed-over program on the air. (And not just here at Grantland!) In that regard, it speaks to the entrenched ambition of the industry, the still-flickering desire to enthrall millions not on a million different screens but all at once, together, glued to the same, traditional box. But that’s where Game of Thrones and tradition end. Because to reward Game of Thrones in the most mainstream of categories would also mean handing over the keys to the kingdom to a show that revels in genre excess — blood, bare breasts, and dragonfire — and one that, despite its storytelling prowess, remains generally disdainful of old-fashioned ideas like “self-contained episodes” and “themes.” This is a battle that is also raging within the Oscar votership; the movies that win Academy Awards are very rarely the movies that millions of people actually see. Until now, thanks to a quirk of timing and programming, the Emmys have mostly been able to skirt this high-low divide. (No one, not Joe Popcorn nor his pretentious cousin, Joseph Kale Chips, was upset about Breaking Bad winning big these past few years.) And this evasion has been central to the “TV is better than movies!” narrative that has been suggested so often recently that many people — even many nonprofessional TV-critic people — accept it as truth. So while it’s certainly possible that the new voting rules may inspire populist chaos, leading to the sight of Peter Dinklage mounting the Microsoft Theater stage as if it were a Lorathi prostitute, I still can’t bring myself to predict it happening — at least not this year. With the golden years fading, we are at the forefront of a new era, one in which everyone wants to make TV but no one is quite sure what to make of it. The answer won’t be lurking inside of that last envelope on Sunday night. But whatever it contains will be instructive — and a good start. Who beat Hamm (and multiple Emmy winner Bryan Cranston) back in 2013.